Welcome to one of the most trusted sources of garage door motors in Cairns, Port Douglas and the Tablelands. When it comes to garage motor repairs or replacement, you can trust Infinite Garage Doors. Based in Atherton, Infinite Garage Doors, serves the homeowners of Mareeba, Port Douglas, Cairns, Innisfail and Tully. We can service, repair or install new garage door motors or provide a roller door motor replacement service. We can also upgrade your current system to an auto garage door motor. As one of the area’s leading garage door service providers, expect only top-quality products and services from us. All our work is guaranteed and the products we carry have a manufacturer’s warranty. Infinite Garage Doors has all your Garage Door Motor Needs! If you are based in Tully, Atherton, Cairns, Innisfail, Port Douglas or Cairns you’ve come to the right place for garage motor repairs. Because here at Infinite Garage Doors, we take pride in our work and try to get the job done right the first time. Dedicated to providing the best solutions, we thoroughly check your auto garage door motor to see whether you need your garage door serviced or you require a full roller door motor replacement. We are your best source for new garage door motors in Cairns, Tully, the Tablelands and the surrounding areas. Committed to meeting your every need, we have roller door motors for every make and model of automatic garage doors. If there is a motor you need that we don’t carry, we will order the motor for you. Our servicemen are a great source of pride for our company. They are also certified to work on numerous garage door motors and work with great precision. They work with great attention to detail and strive to ensure the garage door’s functionality and safety. So, whether you get your garage door serviced or repaired, we ensure that your garage door motor is working well before we leave each job. Give us a call today. No job is too big or too small! 1200N peak pulling force can lift doors with a mass weight of up to 286Kg*. Combined with soft start function, a powerful DC motor and adaptive technology inside the CyclonePro, you can be sure it will work in harmony with any branded domestic door. *When beams are installed and max. spring balanced weight is no greater than 20Kg. The advanced electronic design in the Whisper Drive uses less than 1 watt of electricity when in standby mode, meeting some of the world’s toughest energy saving standards and saving you money. 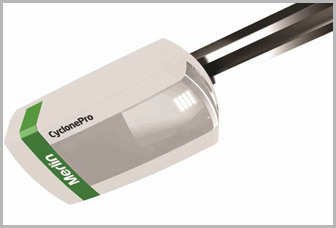 Your safety and property protection is assured because the CyclonePro has automatic safety reversing built in. If the garage door is obstructed while closing, it automatically stops and reverses, if obstructed while opening, it automatically stops. With the Cyclone Pro, homeowners from Port Douglas, the Tablelands and Cairns have nothing to worry about in the case of power failures. This garage door motor system has a manual release feature so you can still open and close your garage door. We stand behind our products with a full 5 Year Warranty*, backed by an after sales support team that we believe to be the best in the industry. We can offer this warranty because of our global quality standards, manufacturing quality and continuous improvement processes. 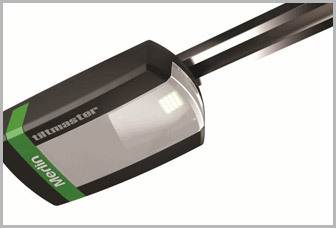 The advanced electronic design in the Tiltmaster uses less than 1 watt of electricity when in standby mode, meeting some of the world’s toughest energy saving standards and saving you money. With a 13 second opening speed* the superfast operation minimises any waiting time. Combined with soft start and stop function, a powerful DC motor and adaptive technology inside the Silent Drive, you can be sure it will work in harmony with your domestic rolling door no matter what size or brand. Uses up to 75% less standby energy. The advanced electronic design in the Silent Drive uses less than 1 watt of electricity when in standby mode, meeting some of the world’s toughest energy saving standards and saving you money. Your safety and property protection is assured because the Silent Drive has automatic safety reversing built in. If the garage door is obstructed while closing, it automatically stops and reverses, if obstructed while opening, it automatically stops. With the Silent Drive’s features this garage door motor is a favourite among homeowners in Cairns, Port Douglas and the Tablelands. 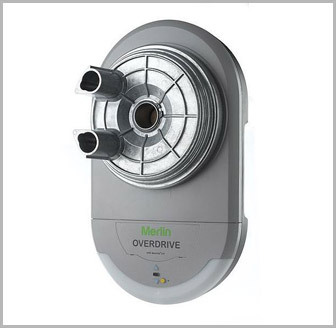 With its slow and steady opening speed the overdrive operates effectively on all doors, even the old ones. Combined with soft start and stop function it is designed for reliable and safe operation on large doors. 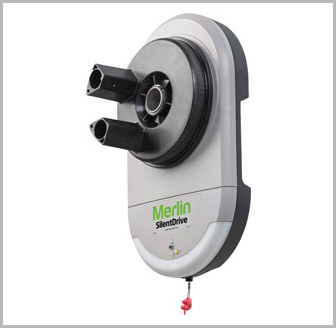 Powerful DC motor and reduction gearbox is quiet and built to last. It has the strength to open any type 2 roller door no matter what you have. It is the perfect alternative to manual operation. Your safety and property protection is assured because the Silent Drive has automatic safety reversing built in. If the garage door is obstructed while closing, it automatically stops and reverses, if obstructed while opening, it automatically stops. We stand behind our products with a full 2 Year Warranty*, backed by an after sales support team that we believe to be the best in the industry. We can offer this warranty because of our global quality standards, manufacturing quality and continuous improvement processes. Make sure that you have the best garage door motor for your home. Contact the Tableland, Port Douglas and Cairn’s most trusted garage door specialists today.